A baby born in Tokyo weighing the same as a large onion has gone home healthy, becoming the smallest newborn boy in the world to leave hospital safely. The tiny tot weighed just 268 grams -- under 10 ounces -- when he was delivered at 24 weeks, reportedly after he stopped growing in the womb. He was so small he fit in an adult's cupped hands. But after five months of treatment, he now weighs 3.238 kilos, is feeding normally, and has been discharged, Keio University Hospital said. "I can only say I'm happy that he has grown this big because honestly, I wasn't sure he could survive," the boy's mother said. 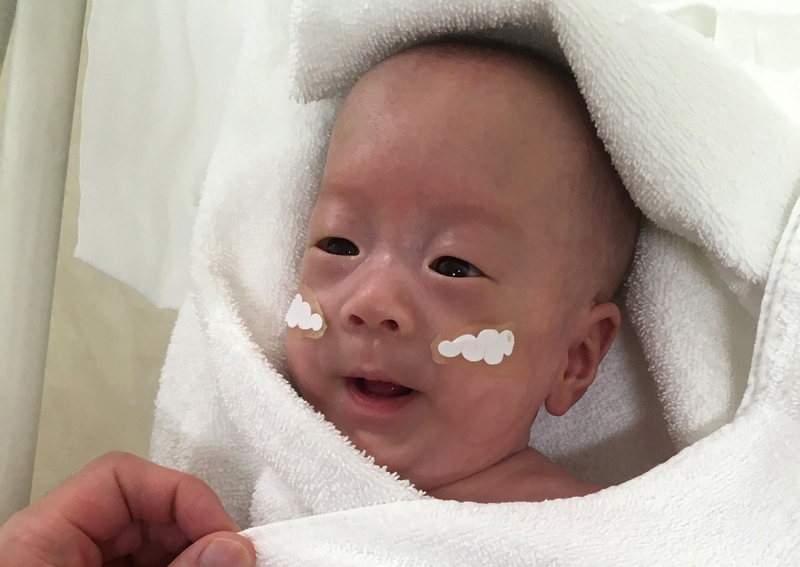 Doctor Takeshi Arimitsu, who treated the infant, said he wanted to tell people that "there is a possibility that babies will be able to leave the hospital in good health even though they are born small". Keio University Hospital said the boy was believed to now hold the record for the smallest newborn boy to be discharged from a hospital in good health. The record was previously held by a boy born in Germany in 2009 weighing just 274 grams, the hospital said, citing a registry put together by University of Iowa for the world's tiniest surviving babies. The smallest surviving girl was born in Germany in 2015 weighing 252 grams, according to the registry. The survival rate of the smallest babies is substantially lower for boys compared with girls. Experts are still not entirely sure why, though there have been suggestions it could be partly related to the slower development of lungs in male babies, Keio hospital said. The baby was discharged last week, two months after his initial due date, local media said. Japan has one of the world's lowest rates of infant mortality, according to UNICEF.